When you have to get flame resistant clothing for work, you’re job is no joke and the amount of cash you have to spend (in order to make more cash, ironically) is no joke either. We get it; FR safety clothing is made to keep you safe and only the highest quality ... (see full details) (see specifications) #10018816. When you have to get flame resistant clothing for work, you’re job is no joke and the amount of cash you have to spend (in order to make more cash, ironically) is no joke either. We get it; FR safety clothing is made to keep you safe and only the highest quality materials can do that. We want to make sure you're safe, comfortable, and satisfied by your FR investments. This is why we only offer the best names in FR clothing. One of those is Ariat. This Ariat 10018816 Solid Navy Blue FR Long-Sleeve Men’s Button-Down Work Shirt is the ultimate in comfort and versatility with an athletic design, professional look, and safety-tested and approved protection for you. 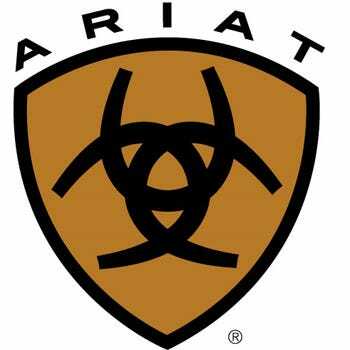 Ariat is a tough brand, their reputation is impressive and so are their products. Your job is hard enough. You don’t need nagging, uncomfortable clothing ruining your day. Let’s be real here: between some of the people you work with (and maybe the people you live with?) there are enough irritating factors in your life, right? Your men's shirt doesn’t have to be one of them with this flame-resistant knit crew shirt. The 6.5-ounce FR twill made from 88% cotton and 12% nylon is soft against your skin and the taped inside back seam prevents irritation at the back of the neck. The moisture management system built in to the weave of the fabric keeps you cooler and drier as is moves your sweat away from your skin and allows it to evaporate. Drier is always better on the job. No one wants to walk around soaked in their own sweat! You may not be working out, but you’re work hard and need just as much comfort and mobility as you might at the gym or on the court. That’s why the subtly athletic design of this men’s button down FR shirt is so genius: it’s comfortable like your favorite workout or leisure clothing but looks professional enough for the job. Soft and durable cotton combines with the double yoke design, center back seam, and Greater Arm Mobility (GAM) system for all the reach and stretch you need to work without constantly adjusting your men's clothing as you go. The full button-down front design is versatile enough so you can wear it many ways depending on the formality of your job. The two chest pockets are pretty handy, too, and there’s even a pen slot on the left pocket. Adjustable cuffs make rolling your sleeves or customizing their fit quick and easy as well. All of these features are great but useless if this FR shirt doesn’t keep you safe. Lucky for you, it does. This men’s long-sleeve FR shirt is rated CAT 2, ATPV 8.9 (cal/mc2) and NFPA 70E, NFPA 2112 approved. It’s tough, it’s comfortable, it’s professional, and it lasts even when the work is difficult. There’s plenty of value built in to this Ariat Men's 10018816 FR Flame-Resistant Long-Sleeve Button-Down Solid Navy Blue Shirt from Working Person's Store, making it more than worthwhile for you. Handsome and sturdy (we’re talking about the shirt), it’s the perfect addition to your FR work clothes line up. Order yours today! This is about as good of a dress shirt that you can get when you are required to manage the guys on the floor. Some flame resistant jeans and this shirt meets all of OSHA requirements and when you need to attend a board meeting just toss on a sports coat and it is presentable and can pass if need be. Ariat Work FR Shirts: 10018816 Solid Navy FR Long-Sleeve Men's Button-Down Work Shirt is being added to your cart.